Your front door says a lot about your home. It’s the first thing guests see. 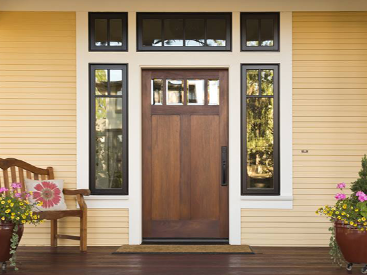 So make an impression, and welcome your guests with a brand new door from Blue Springs Siding & Windows. 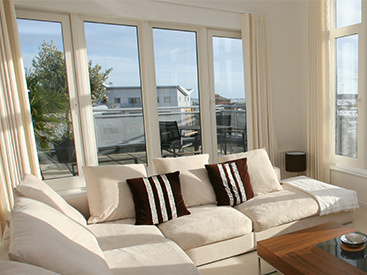 We believe that Therma Tru Doors are the best in the industry and servee more than one purpose. Therma Tru Doors are Energy Star qualified and NRFC certified. This means they are designed to conserve energy. They will keep cold out in the winter and the heat out in the summer, saving you money on energy bills year round. These Therma Tru Doors are fiberglass doors made with patented AccuGrain technology. It gives you the look of high-grade wood, but with the added durability of fiberglass. It looks and feels like the real thing, but you’ll never have to deal with splitting, cracking or rotting. Here are three stylish doors we love and know you will too. These fiberglass entry doors were inspired by 1900’s residential architecture. These look great in Bungalow and Cottage style homes. You can choose between a single Low E glass window that is also energy efficient, or a glass window with grilles for added character. These doors are a rustic-inspired style that look great with Southwestern or European country architecture. You can add a Low E glass window or choose a door with carving details to add more personality. This is a very traditional looking door with a smooth fiberglass finish. 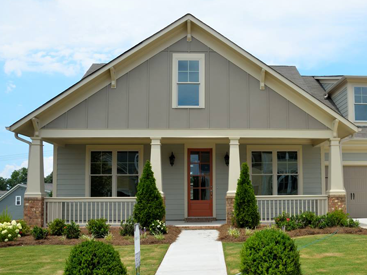 These doors can be painted to match your home’s interior and exterior. These doors have wide center panels and rich embossment details, while still performing with all the benefits of a premium fiberglass door; security, durability and energy efficiency. Call Blue Springs Siding & Windows today for beautiful entry doors that will help conserve more energy and stand up to the elements. 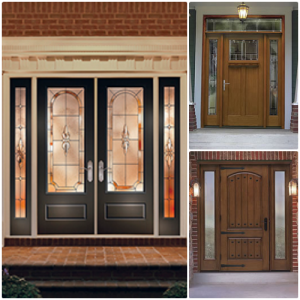 These doors are industry winners, and that’s why we are offering a special 10% off all products this month as part of our Royal Savings. Buy any of our doors, windows or siding products throughout the month of October and you’ll save royally.